The Unassuming Economist | How To Improve Housing Affordability in Canada’s Dynamic Regions? How To Improve Housing Affordability in Canada’s Dynamic Regions? most dynamic regions, particularly around Vancouver and Toronto are severely unaffordable (Table 1). Moreover, some smaller housing markets are also becoming unaffordable, as demand pressures are spreading from the major markets to nearby markets. 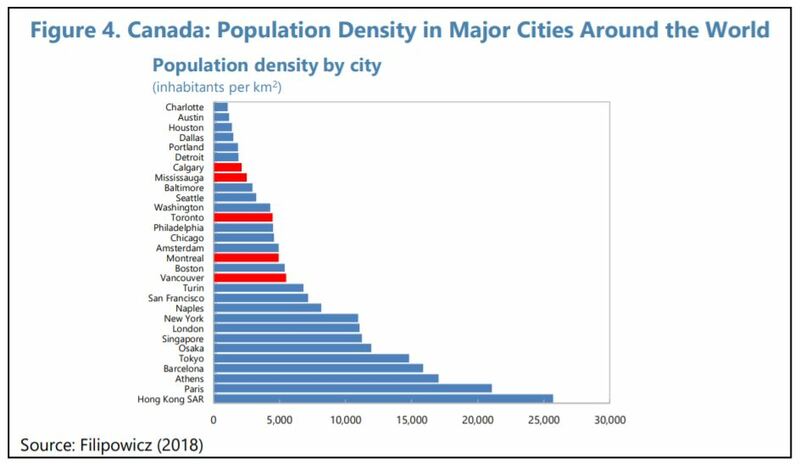 Deteriorating affordability raises not only important social concerns, but also economic ones, as it works against attracting and keeping talent in Canada’s most dynamic urban centers. Thus, it can have a negative effect on growth, productivity, and innovation. This note focuses on the housing markets in the Greater Toronto Area (GTA) and Greater Vancouver Area (GVA) where demand pressures have been the most acute. Driving the deterioration of affordability has been the significant imbalance between housing demand and supply in the most affected regions. House prices nearly doubled between early 2010 and spring 2018 in Vancouver and Toronto as demand from domestic and foreign buyers outstripped the supply of homes. House price appreciation has been slower in other parts of the country, with virtually no appreciation in the resource rich areas in the same period.